Baseball is fun when the hometown wins, and it is especially fun when you beat the first place team in another division. The Reds won yesterday on the strength of Adam DuvallÃ¢â‚¬â„¢s 15th homer. 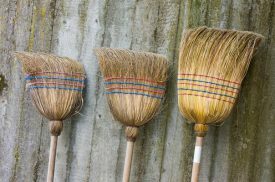 Now, in the midst of a four game winning streak, your Cincinnati Reds (21-35) break out the brooms for the series sweep against the Washington Generals (33-23) today at Great American Ballpark. After doing the impossible against Stephen Strasburg yesterday, the Reds seem to have an even bigger hill to climb as they send out Jon Moscot. Moscot started the season well, all things considered, before going on the DL with shoulder issues. He came back at the end of May, surrendering 7 runs to the Rockies in two innings. LetÃ¢â‚¬â„¢s hope he was just shaking the Dust off and will bring his best game today. The Nationals counter with Tanner Roark who, not counting two disastrous outings against Miami, has been quite effective most of the season. Roark is to the Nationals what Simon was supposed to be to the Reds: an innings eater. Thus far, the only difference is Roark has been largely effective. 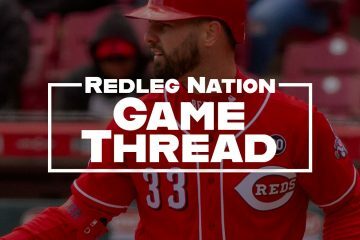 If the RedsÃ¢â‚¬â„¢ offensive output over the last few days can continue and they can get to him early, the Reds might yet sweep the series and bring the winning streak to 5. 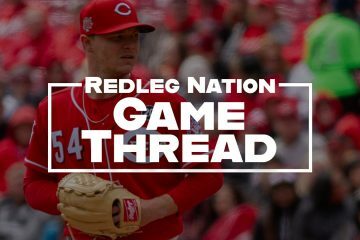 The Reds called up Kyle Waldrop and optioned Dayan Diaz shortly before the game yesterday. It could be that theyÃ¢â‚¬â„¢re just looking for more options from the bench, but there might also be an OF trade on the horizon. Keep your eyes open and your ears to the ground. Bryce Harper appears to be in a mini-slump. HeÃ¢â‚¬â„¢s only 1 for 7 this series and 5 for his last 35. HeÃ¢â‚¬â„¢s also only a lifetime .160 hitter in Great American Ballpark. If anyone has his number, it seems the Reds do. Of course, now that IÃ¢â‚¬â„¢ve said that, heÃ¢â‚¬â„¢ll probably go 10 for 10 with 11 homeruns today. Because IÃ¢â‚¬â„¢m superstitious like that. Win or lose today, itÃ¢â‚¬â„¢s been a good series. Much better than what most of us expected. RealityÃ¢â€žÂ¢ will likely come back to bite us sooner or later. Until then, enjoy the success Reds fan. And break out your brooms. ItÃ¢â‚¬â„¢s time to SWEEP! I was thinking the same about the Waldrop call up and a possible trade. However, Price’s company line on the Waldrop call up was that they had some guys on the bench who were hurting and needed a LH bat. Of course he declined to name names; but, informed speculation was Cabrera had taken another hit to his bad hand on Friday and might not be able to swing a bat very well. For once the pen isn’t stretched; and, they have the off day Monday to rest; so, maybe the company line was more truth than coverup. Now that offensive has waken up, the key is for starting pitching to keep contrary at bay for 6 or 7 innings. Not too fonded on Moscot today, go Reds! Today’s jewel from Price is that iggy will be in the pen if/ when he returns this year which barring setbacks now looks to be late June or early July. Before cueing up “Here We Go Again”, consider this is to protect his shoulder. Durability has always been a question with Iggy. They had him doing shoulder strengthening this last off season. They can go that route this coming off season and have another look at him as a starter in 2017. I hope Tyler Holt brings as much excitement to the game as he has in the recent past. I miss Billy when he is not in the lineup. As for today….I’ve never seen what others have seen with Moscot? Everything he has is at a nice hitting speed of 83-91 and he never seems to be able to keep the ball in the park? A sweep would be nice though!! How could that be? When the Reds traded Dave Kingman ….I mean future HOFer Todd Frazier, I thought the players received all were suffering from terminal illnesses and blindness. The guy is 24 so its not like he’s 21 and needs more seasoning at AA? Classic Dusty Baker lineup construction putting Revere and Taylor 1 and 2. Revere has an OPS of .457 and Taylor OPS of .561 yet they are first and second in front of two of the better hitters in baseball. Yikes. While Trea Turner goes 3-3 with a walk and then gets a nice front row seat for the rest of the series! Moscot just made it easy to decide who gets bumped from the rotation when Disco returns. Or maybe it was already decided, but no room for debate now. And, we’re back to the Keystone Kops …had to happen sooner or later, I guess. Reds up 5-0 and yet I knew with Moscot on the mound and who would follow him that it might be fun to take a look at the live lines and the Nats had a lovely payout but I can’t bet against the Reds. I just had a feeling though….its not like we haven’t done it before this year? I was thinking the same thing but I kind of figured we wouldn’t get anything going against Roark so this kind of stinks when you get up by 5 early then give it away. Terrible defense. Suarez, with plenty of time, throws wide to home. Then Barnhart turns toward home plate before he catches the ball. A double play thrown away. These things happen to all teams but when we have a healthy staff and we get up by 5 at anytime during the game I like our chances.Our offense has picked it up so a couple bloops and a bomb then we are right back in it.By the way Holt needs to play more. Every time we think we’ll get some pitchers back then 2 more go on the 154 day DL though? We never just have a guy with a little lingering soreness and he’s ready to go again in 2 weeks? Duvall at third and Waldrop in LF. Interesting switch. Wonder if that has anything to do with the lousy throw from Suarez on the botched DP? Nice knock from Bruce. In past years, you would have said it brought the Reds back in the ballgame at 10-8. Should the Reds resign him or trade him. Honestly, every time I think about it, I change my mind. Bruce has all of this year and a team option for next year, so if the Reds do trade him, he should bring something good back. He wouldn’t be a half-season rental…….. But as a fan, I wonder which would make me feel worse: the Reds keep him, and he falls back into 0-for-2-months-at-a-time Bruce, and his value falls away completely; or the Reds do trade him, hopefully for a good return, but then Bruce develops into a more consistent force that the Reds have been waiting on for years now. Seeing if Duvall can play a passable 3rd is one of the things worth doing with this season. Odds are low, but if he can it opens up some interesting options. hmmm. 2 on, no one out in the ninth. Is there a chance to tie this? BP with the big hit… this ain’t over yet. Interesting. Loading the bases with no one out to get to Duvall. That’s a fail… Hope Cozy can pick him up. Or walk, walk would be good. That was a disappointing end to the game. Baes loaded, no outs. That hurts. But they made it a game, and a fun series. It is supposed to be entertainment, so that counts for something. All you can for is a chance, and the Reds got their chance. Too bad the way it ended, especially after a 5-0 lead goes up in smoke.